Greetings from London Heathrow. I'm on my way home. 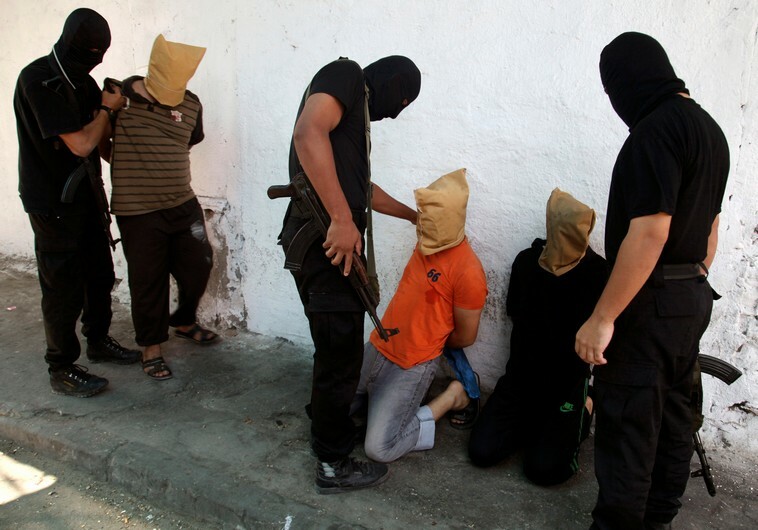 Hamas executed three 'murderers' at dawn on Tuesday. Two were executed by firing squad, while the third, a 'policeman' was hanged. Last week, Amnesty International called for the 'attorney general' of Gaza to intervene in these cases. Of course, Amnesty said nothing of Gaza's 'justice system.' Richard Goldstone of the Goldstone Commission once endorsed Hamas' 'court system,' but it goes without saying that Gaza does not have an 'attorney general' and that Amnesty's call is ludicrous. Hamas does have Abu Mazen, who is supposed to approve any death sentences, but since Hamas broke Gaza off from the more 'moderate' terrorists of Fatah in 2007, they no longer ask Abu Mazen to approve their death sentences.